Are you dreaming of some well-deserved time out? Relax! Give the gift of wellbeing with a VAMED Vitality World gift card. Also available as a premium version featuring Swarovski crystals. 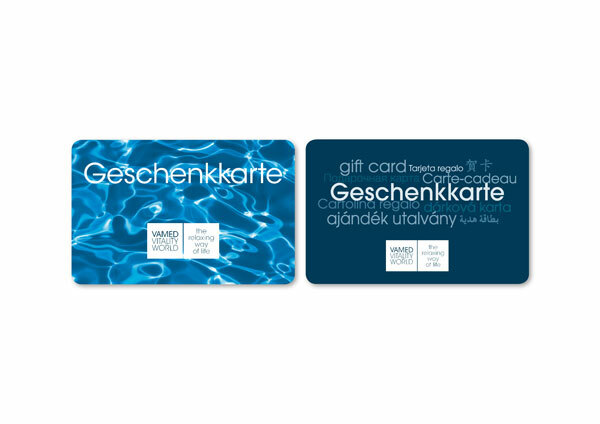 Looking at the VAMED Vitality World gift cards you get a pleasant anticipation for relaxation for body and soul. They are available from Euro 20,-- onwards and are valid in all resorts of the VAMED Vitality World. 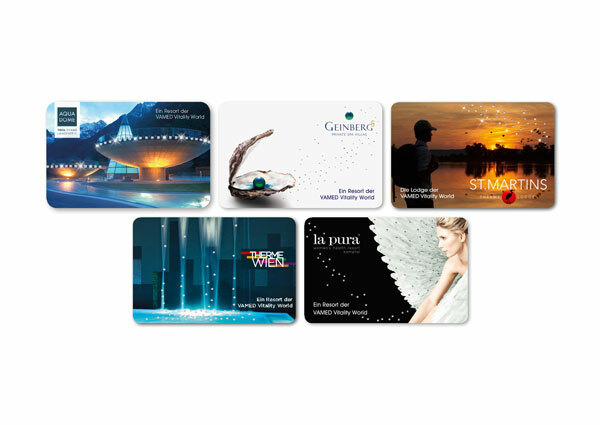 Austria’s exclusive gift cards are in a class of their own thanks to their use of Swarovski crystals, which reflect the exceptional quality of the gift inside. They can be credited with any amount from EUR 500 and exchanged for numerous treatments and services at all VAMED Vitality World spa and health resorts.